The development in grid connected three phase inverter has increased the importance of achieving low distortion and high quality current waveform. 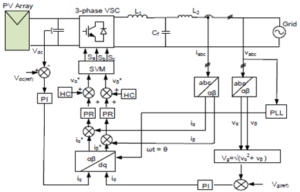 This paper describes a method of reducing current ripple in a three phase grid connected inverter utilizing Proportional Resonance (PR) controller. The effectiveness of the PR current controller is demonstrated by comparing its performance with that of the Proportional Integral (PI) controller. Simulation and experimental results show that Proportional Resonance (PR) controller achieves better reduction in total harmonic distortion (THD) in the current signal spectrum. Fig.1. PI controller in synchronous reference scheme. This paper has considered the impact of the current control scheme of a three-phase grid-connected inverter under normal and abnormal grid conditions using PI and PR controllers. In particular, this work has compared the performance of the industrially accepted PI controller, and the emerging PR controller which is popular in grid connected renewable energy applications. In keeping with the claims of other literature, simulation studies have confirmed that the PR controller shows better performance under normal operating conditions. There is no steady state error output, and the harmonic content of the current waveform is very low. Moreover, in this paper, the effect of grid voltage dips on the performance of the grid connected inverter was considered. Whilst the PI controller demonstrates very good performance, the Proportional Resonance controller offers superior output power regulation, and improved power quality performance. Overall, it suggests that the PR controller is better suited in the event of grid faults, or operation in weak grid environments. Wuhua and H. Xiangning, “Review of Nonisolated High-Step-Up DC/DC Converters in Photovoltaic Grid-Connected Applications,” IEEE Trans. Ind Electron., vol. 58, pp. 1239-1250, 2011. Atkinson, G. Pannell, C. Wenping, B. Zahawi, T. Abeyasekera, and M. Jovanovic, “A doubly-fed induction generator test facility for grid fault ride-through analysis,” Instrumentation & Measurement Magazine, IEEE, vol. 15, pp. 20-27, 2012. Cecati, A. Dell’Aquila, M. Liserre, and V. G. Monopoli, “Design of H-bridge multilevel active rectifier for traction systems,” Industry Applications, IEEE Transactions on, vol. 39, pp. 1541-1550, 2003. Hassaine, E. Olias, J. Quintero, and V. Salas, “Overview of power inverter topologies and control structures for grid connected photovoltaic systems,” Renewable and Sustainable Energy Reviews, vol. 30, pp. 796-807, 2014. Nicastri and A. Nagliero, “Comparison and evaluation of the PLL techniques for the design of the grid-connected inverter systems,” in Industrial Electronics (ISIE), 2010 IEEE International Symposium on, 2010, pp. 3865-3870. A DC microgrid (DC-MG) provides an effective mean to integrate various sources, energy storage units and loads at a common dc-side. The droop-based, in the context of a decentralized control, has been widely used for the control of the DC-MG. However, the conventional droop control cannot achieve both accurate current sharing and desired voltage regulation. This study proposes a new adaptive control method for DC-MG applications which satisfies both accurate current sharing and acceptable voltage regulation depending on the loading condition. At light load conditions where the output currents of the DG units are well below the maximum limits, the accuracy of the current sharing process is not an issue. As the load increases, the output currents of the DG units increase and under heavy load conditions accurate current sharing is necessary. The proposed control method increases the equivalent droop gains as the load level increases and achieves accurate current sharing. This study evaluates the performance and stability of the proposed method based on a linearised model and verifies the results by digital time-domain simulation and hardware-based experiments. This paper presents a new control scheme for DC-MG without using any communication links. In the conventional droop control, small droop gains result in good voltage regulation but inaccurate current sharing, and large droop gains result in accurate current sharing but unacceptable voltage regulation. To overcome this drawback, a new control method is proposed in which the equivalent droop gains automatically change based on the loading condition. The simulation results show and the experimental results verify that by adaptively changing the droop gains according to the load size, both accurate current sharing and desirable voltage regulation are achieved. b.tech ieee electrical projects in mahabubnagar. Asoka technologies provide b.tech ieee electrical projects in mahabubnagar. B.TECH IEEE ELECTRICAL PROJECTS IN ENGINEERING is a field of engineering that generally deals with the study and application of electricity, electronics, and electro magnetism. This field first became an identifiable occupation in the later half of the 19th century after commercialization of the electric telegraph, the telephone, and electric power distribution and use. Subsequently, broad casting and recording media made electronics part of daily life. The invention of the transistor, and later the integrated circuit, brought down the cost of electronics to the point they can be used in almost any household object. Electrical engineering has now subdivided into a wide range of sub fields including electronics, digital computers, power engineering, tele communications, control systems, radio-frequency engineering, signal processing, instrumentation, and microelectronics. Many of these sub disciplines overlap and also overlap with other engineering branches, spanning a huge number of specializations such as hardware engineering, power electronics, electro magnetics & waves, microwave engineering, nanotechnology, electro chemistry, renewable energies, mechatronics, electrical materials science, and many more. b.tech ieee electrical projects We know that electrical projects are used in many cases in our real life and they require more power when compared with electronics projects. Electrical project circuits use only passive components like capacitors, inductors, resistors, etc. As a result, many people like to get an idea about how electrical projects work and which projects may come under this category. b.tech ieee electrical projects Design of Load Sharing control system using PIC Microcontroller: The main aim of this project is to adjust the availability power with consuming load. This system measures the power using current and voltage sensing circuits for every energy source. IEEE Electrical Projects in kumuram bheem . Asoka technologies provide IEEE Electrical Projects kumuram bheem. ELECTRICAL ENGINEERING is a field of engineering that generally deals with the study and application of electricity, electronics, and electro magnetism. This field first became an identifiable occupation in the later half of the 19th century after commercialization of the electric telegraph, the telephone, and electric power distribution and use. Subsequently, broad casting and recording media made electronics part of daily life. The invention of the transistor, and later the integrated circuit, brought down the cost of electronics to the point they can be used in almost any household object. ELECTRIC POWER SYSTEM is a network of electrical components deployed to supply, transfer, and use electric power. An example of an electric power system is the the grid that provides power to an extended area. An electrical grid power system can be broadly divided into the generators that supply the power, the transmission system that carries the power from the generating centres to the load centres, and the distribution system that feeds the power to nearby homes and industries. Smaller power systems are also found in industry, hospitals, commercial buildings and homes. The majority of these systems rely upon three-phase AC power—the standard for large-scale power transmission and distribution across the modern world. Specialised power systems that do not always rely upon three-phase AC power are found in aircraft, electric rail systems, ocean liners and automobiles. 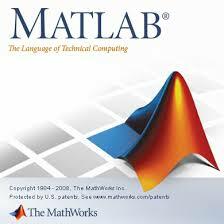 MATLAB (matrix laboratory) is a multi-paradigm numerical computing environment and fourth-generation programming language. A proprietary programming language developed by MathWorks, MATLAB allows matrix manipulations, plotting of functions and data, implementation of algorithms, creation of user interfaces, and interfacing with programs written in other languages, including C, C++, C#, Java, Fortran and Python. SIMULINK, developed by MathWorks, is a graphical programming environment for modeling, simulating and analyzing multidomain dynamic systems. Its primary interface is a graphical block diagramming tool and a customizable set of block libraries. It offers tight integration with the rest of the MATLAB environment and can either drive MATLAB or be scripted from it. Simulink is widely used in automatic control and digital signal processing for multidomain simulation and Model-Based Design. IEEE Electrical Projects kumuram bheem. An ELECTRIC POWER SYSTEM is a network of electrical components deployed to supply, transfer, and use electric power. An example of an electric power system is the the grid that provides power to an extended area. An electrical grid power system can be broadly divided into the generators that supply the power, the transmission system that carries the power from the generating centres to the load centres, and the distribution system that feeds the power to nearby homes and industries. Smaller power systems are also found in industry, hospitals, commercial buildings and homes. The majority of these systems rely upon three-phase AC power—the standard for large-scale power transmission and distribution across the modern world. Specialised power systems that do not always rely upon three-phase AC power are found in aircraft, electric rail systems, ocean liners and automobiles. ABSTRACT: Due to the lack of electrical isolation, the leakage current is one of the most important issues for transformerless PV systems. In this paper, a new modulation strategy is proposed to reduce the leakage current for Z-Source four-leg transformerless PV inverter. Firstly, the common mode loop model is presented. And then the common mode voltage behavior and the effect of factors on the leakage current are discussed. A new modulation strategy is proposed to achieve the step-up function and constant common mode voltage. Therefore, the leakage current can be suppressed effectively. Finally, the proposed strategy is digitally implemented and tested. The simulation results verify the effectiveness of the proposed solution. 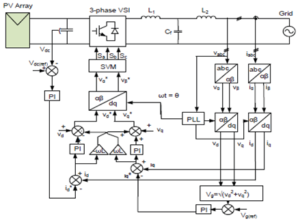 This paper has presented the analysis and simulation verification of a new modulation strategy to reduce the leakage current of Z-source four-leg inverter for transformerless PV systems. Our finding indicates that the conventional method fails to eliminate the leakage current. Meanwhile, the leakage current will be higher as the shoot-through duty cycle increases. As for the proposed method, the effect of shoot-through duty cycle variation on the leakage current is small, and the leakage current can be effectively reduced. On the other hand, there is one drawback that the number of switching for the proposed solution is slightly more than that of the traditional one during a carrier cycle. However, compared with the conventional solution, both the leakage current and the THD of grid current can be reduced effectively with the proposed solution. Moreover, the four-leg solution can enable the zero sequence current to circulate, avoiding the dc bias in the load output currents in case of unbalanced loads. Aside from that, the power losses of semiconductor devices can be reduced significantly. Therefore, the proposed solution is attractive for transformerless PV systems. Guo, Y. Yang, and T. Zhu, “ESI: A novel three-phase inverter with leakage current attenuation for transformerless PV systems,” IEEE Trans. Ind. Electron., vol. 65, no. 4, pp. 2967-2974, Apr.2018. Xiao, L. Zhang, and Y. Li, “An improved zero-current-switching single-phase transformerless PV H6 inverter with switching loss-free,” IEEE Trans. Ind. Electron., vol. 64, no. 10, pp. 7896-7905, Oct. 2017. Zhang, K. Sun, Y. Li, X. Lu, and J. Zhao, “A distributed power control of series connected module-integrated inverters for PV grid-tied applications,” IEEE Trans. Power Electron., vol. 33, no. 9, pp. 7698-7707, Sept. 2018. Li, Y. Gu, H. Luo, W. Cui, X. He, and C. Xia, “Topology review and derivation methodology of single-phase transformerless photovoltaic inverters for leakage current suppression,” IEEE Trans. Ind. Electron., vol. 62, no. 7, pp. 4537–4551, Jul. 2015. Yam Siwakoti, and Frede Blaabjerg, “Common-ground-type transformerless inverters for single-phase solar photovoltaic systems,” IEEE Trans. Ind. Electron., vol. 65, no. 3, pp. 2100–2111 Mar. 2018. Power electronics is the application of solid-state electronics to the control and conversion of electric power. The first high power electronic devices were mercury-arc valves. In modern systems the conversion is performed with semiconductor switching devices such as diodes, thyristors and transistors, pioneered by R. D. Middle brook and others beginning in the 1950s. In contrast to electronic systems concerned with transmission and processing of signals and data, in power electronics substantial amounts of electrical energy are processed. An AC/DC converter (rectifier) is the most typical power electronics device found in many consumer electronic devices, e.g. television sets, personal computers, battery chargers, etc. The power range is typically from tens of watts to several hundred watts. In industry a common application is the variable speed drive (VSD) that is used to control an induction motor. The power range of VSDs start from a few hundred watts and end at tens of megawatts.